Chrissy and Peter are such a fun couple to be around. They have a cute story of how they met on a blind date, set up by a family friend. They celebrated their wedding on the old fifth tee at Pebble Beach, the first wedding ever to take place there. 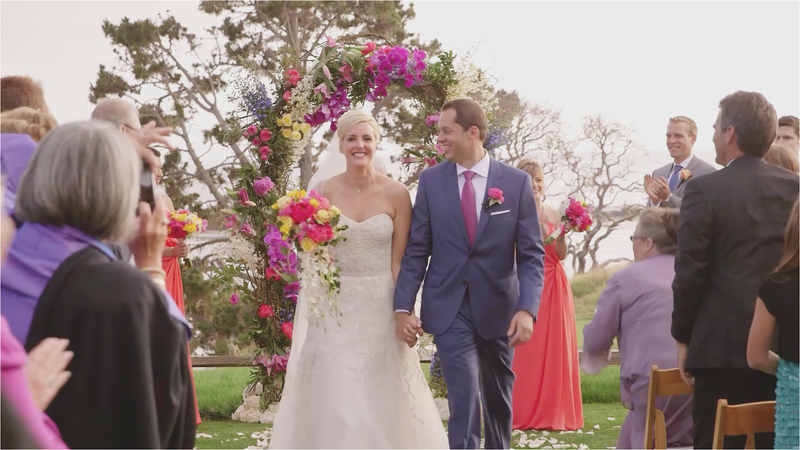 Their family and friends gathered for a weekend of festivities, from Chrissy's family home in Pebble Beach to the reception at the Beach Club overlooking the ocean, it was spectacular! We worked alongside our friend, and talented photographer Catherine Hall of Catherine Hall Studios.